The consumer decision-making process is so complicated that multiple studies have demonstrated that even the consumer finds it difficult to accurately articulate how or why they arrived at a decision to purchase one product over another. Even with the inherent complexities accompanying the consumer decision-making process, businesses still have the opportunity to create and share content capable of influencing consumers in such a way that they opt for the brand’s specific product or service. This is even more foundational than customer experience. In the sections that follow, we’ll discuss the strategies brands can use to navigate this complicated process while also detailing the seven ways good content marketing influences consumer purchasing decisions. When consumers discuss how they arrived at a decision, they often describe a process involving rational thought and reasoned analysis. Although consumers believe they make purchasing decisions based on reason, emotions play a far greater role than most people realize. In fact, the majority of consumers only use reasoned analysis to justify a decision they’ve already made based on emotion. The role emotions play in influencing the consumer decision-making process underscores the importance of creating content capable of fostering a deep and meaningful connection between the brand and the consumer. When creating digital content to share with consumers, brands must prioritize making an emotional connection with the consumer. Failing to establish such a connection will ultimately have an adverse impact on the brand’s ability to influence consumer purchasing decisions through the use of good content. When brands reach out to consumers via simple, straightforward content, they are more likely to engage and inform the consumer, which is obviously a critical first step when it comes to influencing consumer decisions. It is, after all, difficult to influence a consumer’s decision if the consumer is not interested in investing time and energy into processing the information featured in the content. Brands benefit from creating and sharing good content that is easily understood by the consumer. In doing so, the consumer becomes more informed about different factors to be taken into consideration when making a purchasing decision in the future, thus influencing the consumer’s decision-making process. Of course, it’s worth noting that being constantly bombarded by marketing materials has an effect on how a consumer views different kinds of content. Recognizing that brands use marketing materials to sell products and services — and thus might be motivated to make inaccurate or misleading claims — consumers tend to be wary of content created and shared by brands. Publishing good content that provides information valuable to the consumer — do-it-yourself or how-to articles, for example — engenders a greater sense of trust in consumers, as long as the content does not betray some sort of ulterior motive. Brands that create and share content solely designed for the benefit of the consumer earn the trust of consumers, which in turn makes consumers more receptive to the brand’s marketing efforts and contributes to establishing the emotional connection that plays such a key role in influencing consumer purchasing decisions. There are many reasons consumers remain fiercely loyal to certain brands, and brands that succeed in building a loyal following of consumers reap a number of short- and long-term rewards. A brand must be perceived as an expert or authority in its specific field or industry in order to establish a sense of loyalty in consumers, and creating and sharing good content is one of the most effective ways a brand can position itself as an expert or authority. Content created with the goal of promoting the brand’s unique level of expertise also helps differentiate its products or services from competitors. When consumers make purchasing decisions, content that helps positively differentiate one brand from all the rest often tips the scale in the mind of the consumer, highlighting the benefit of creating good content promoting the brand’s status as an expert or authority in its field. Subconscious processes influence all decisions, including, of course, consumer decisions. Psychologists and philosophers often use the concept of “thin-slicing” when describing the role of the subconscious in the decision-making process, as people make instantaneous decisions based on a minimal amount — or a “thin slice” — of information. Consumer decisions are no different, as the decision to make a purchase is often based on the thin slice of information immediately available to the consumer’s subconscious. The most successful brands understand the importance of reaching the consumer’s subconscious through the use of good content, which provides consumers with the kind of information that ultimately influences the instantaneous processes used by the subconscious mind when making a purchasing decision. With the understanding that businesses might be biased by their own profit motives, consumers tend to seek out as many sources of information as possible when deciding whether or not to purchase a particular product or service. In doing so, consumers place the greatest value on objective reviews provided by third parties and fellow consumers, which is why every brand benefits when it helps the consumer easily locate genuinely objective product or service reviews through the content it shares. In creating and sharing content featuring third-party or consumer reviews, brands have to remember that consumers are seeking genuine objectivity above all else. This is why brands tend to gain credibility when they share reviews that honestly discuss both the strengths and weaknesses of a product or service. As long as the strengths outweigh the weaknesses (or the weaknesses are described as a matter of one’s personal preference or opinion), consumers will develop a positive perception of a brand’s products and services, which obviously plays a role in influencing the consumer decision-making process. The most successful brands engage consumers through platforms that exist online as well as offline, and these brands rely on the good content they create and share to encourage consumers to transition from online engagement to in-person engagement, or vice versa. Content that encourages consumer engagement online and in-person is also critical when it comes to cementing the emotional connection between a brand and the consumer, which in turn influences the consumer when it comes time to make a purchasing decision. Encourage your consumers with content and the power of award-winning live chat outsourcing. Find out how The Chat Shop can help you with sales enablement and customer service. Gina Kawalek is currently a Senior Marketing Manager at QASymphony, a leading provider of QA testing software for agile developers. 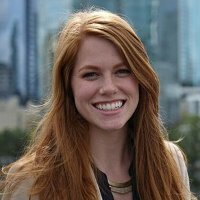 Prior to QASymphony, she spent 5 years in B2B marketing at ExactTarget, Salesforce and Insightpool.